AT-OS designs, manufactures and distributes bedpan washer disinfectors and other human waste containers, such as urinals, supports for disposable bedpans, commodes, kidneyshaped basins, bowls, urology bottles, bottles for blood collection and other containers used in hospitals, homes for the elderly, healthcare, and clinics. The main features of AT-OS products provide innovative technology in constant evolution. The AF2 machines are produced in compliance with the EC 93/42 EUROPEAN DIRECTIVE for class 2A medical devices, guaranteeing high quality and a high level of safety. 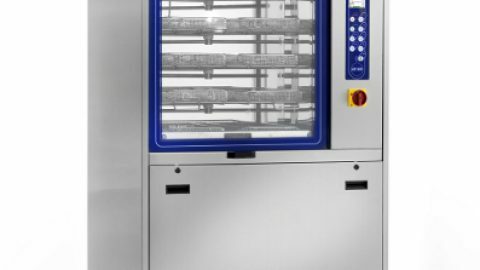 Total compliance with the European standards regarding machines for washing and disinfection: EN 15883 part 1 and part 3. Let’s have a closer look at High-Tech Features of the AF2 Professional line. Complete application for washing and disinfecting other utensils and containers that cannot be cleaned in a standard support for bedpan and urine bottles. After the disinfection phase cold air will be introduced by a fan in the washing chamber, to cool down the temperature, condense the steam and dry the containers. This appliance also avoid the aerosol effect for the operator and the thermodynamic contamination of the room. Special ©AT-OS disinfection program with direct spraying appliance against CLOSTRIDIUM DIFFICILE bacterium. Test approved by the German University of Bonn. Intelligent control of water flow, pressure and injection system to improve the washing performance. Graphic display for an easy communication between machine and user. 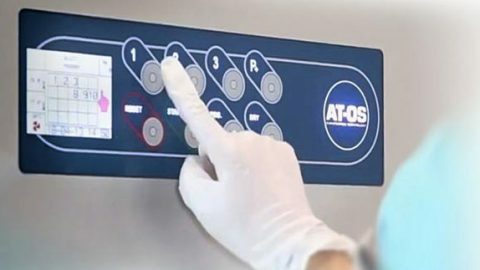 Top technology visualization to assure a detailed information for a user-friendly control of machine features. Up to 4 urine bottles can be disinfected at once in this machine. DVS – Disinfection Validation System 3 PT1000 temperature probes in the washing chamber to ensure accurate disinfection monitoring. The user can start the machine without removing his gloves by pushing buttons with his elbow. This feature also prevents cross infection. The operator can open and close the door by pushing the foot pedal or by activating the optical sensor on the touch panel. 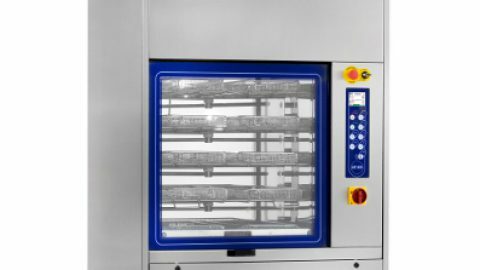 Function that allows the machine to automatically perform a disinfection program 24 hours after the last cycle. This system prevents bacterial growth inside the machine. AF2 Professional Line: Bedpan washer disinfectors. AF2 Simplex Line: Bedpan washer disinfectors. 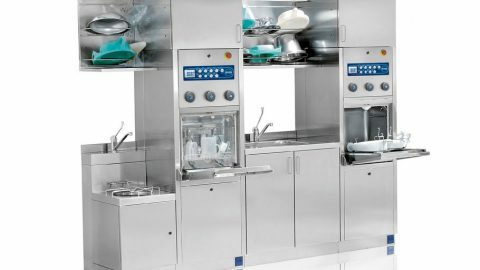 Opening and closing system of AT-OS bedpan washer disinfectors: Total commitment to safety. 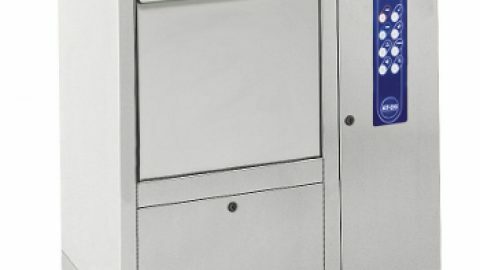 Key Features of the Series AWD 655AF2 Professional Line: Bedpan washer disinfectors.